This insightful novel from small East Midlands independent publisher, Five Leaves, examines the consequences when a step dad gets too close to the girls he calls his daughters. Fifteen-year-old Mel despairs of her family but can’t work out what’s going wrong. Rows at home are increasingly frequent, relations with her older sister Hannah are weirdly strained and then there are her own insecurities about her weight and whether Raj will ever fancy her. Then the man she loves and calls Dad starts paying Mel the wrong kind of attention, and everything falls apart. Despite the cataclysmic effect that the resulting revelations of abuse have on all their lives, Maxine Linnell neatly avoids making a drama out of the crisis, concentrating instead on a careful examination of the feelings of those caught up in it, from those of Mel’s devastated mum to those of a hurt and confused younger brother not old enough to understand. Difficult issues are not ducked, and Linnell makes it clear that there will be no easy answers. But this is not a wholly dark story. Significantly, the possibility of partial redemption for the perpetrator of the abuse is left open. He is portrayed neither as villain nor victim, but as a mixed-up human being. People are complicated, is the message. And it is when Mel understands this that she finds the maturity to break out of her self-absorption, and becomes a better daughter, sister and friend as a result. 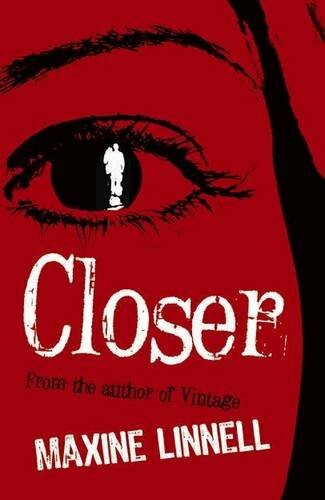 Closer joins a plethora of young adult novels which have sought to tackle the subject of abuse by a parent. The sensitive simplicity and authenticity of Closer make it a particularly welcome addition to the field.